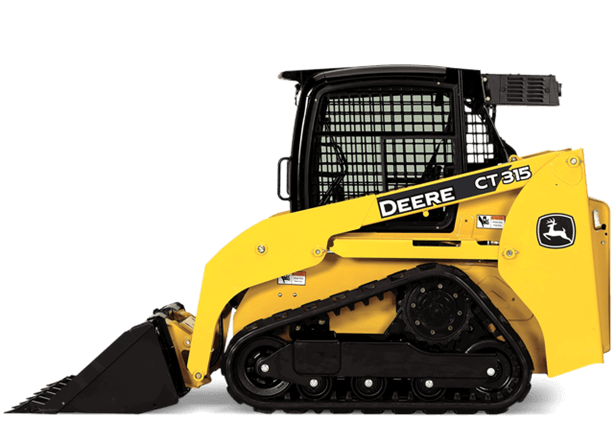 Need a smaller track loader with big performance? Meet the John Deere CT315. It's lightweight and agile, yet it packs 45 turbocharged horses into its small frame to deliver best-in-class stability, breakout force, visibility, and wide-open service access. It's a snap to transport between jobsites, too. And, with numerous available Worksite ProT attachments, there's seemingly no end to the work you'll get done.